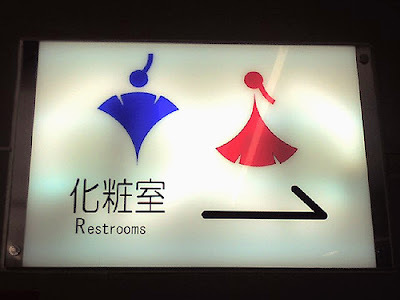 Ginkgo signs to help you find the correct restroom in Japan. Photo by KEIK-T.
* Update of my page about the "Seven Worthies of the Bamboo Grove and Rong Qiqi" with new pictures. 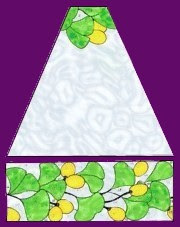 This is a 6-sided lampshade with ginkgo leaves. Each panel is made 6 times and will produce a continuous pattern around the lamp. More details on the website of Chantal's stained glass. different sizes on the website of Embroidery Library. * Added on my Art-page: Chinese Ningbo cabinet with Ginkgo trees (Villa Ephrussi de Rothschild). * New photo photospecial page: Old Ginkgo tree in Simsbury, Conn., USA. The Ginkgo tree was a charred stump which sprouted again and breathed life after the atomic bomb was dropped on Hiroshima. This tree lends its name to antagon's new production. On the futuristic stage, a group of human beings fight for survival and discover a force that affirms the power of life - the seed of hope and the source of flowering and growth. “Ginkgo“ is a fast-paced, outdoor production, with room for poetic and sensible moments, but also with fire, hanging performances, live music and action-theatre that creates large images. Der Ginkgo-Baum war nach dem Atombombenabwurf in Hiroshima ein verkohlter Stumpf, der aufbrach und wieder zum Leben erwachte. Dieser Baum gibt der neuen antagon Produktion ihren Namen. Im futuristischen Bühnenbild kämpft eine Gruppe menschlicher Wesen ums Überleben und findet die lebensbejahende Kraft, den Keim der Hoffnung und die Quelle zum Wachsen und Blühen. Ginkgo - eine rasante Outdoor-Performance mit poetischen und sensiblen Momenten, Feuer, hängenden Inszenierungen, Live-Musik und Aktionstheater, das große Bilder schafft. 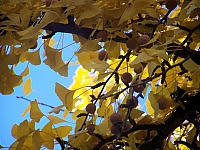 * Added photos of Ginkgo trees sent to me by readers in Argentina (Punta Chica) and France (Nantes). Thank you ! * Added on my Art-page: photos of Art deco lamps by Edgar Brandt and Daum + Brandt firescreen, c. 1920-1925. Denis Quéva wrote me: "I love ginkgos and never miss an opportunity to take photos from the ones I meet." Here are many beautiful photos he took in Auxerre, France, in the garden of museum d'Histoire naturelle, boulevard Vauban/Natural Museum. 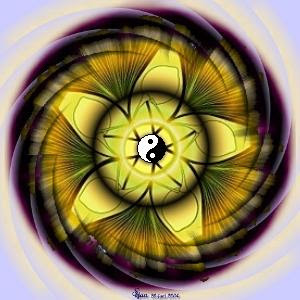 I found this Ginkgo mandala made by Lakastjan100 in Webshots. * Added on my Art-page: 4 photos of Jugendstil-Art Nouveau buckles with Ginkgo leaf motif (from the collection of Dr. Karl Kreuzer). 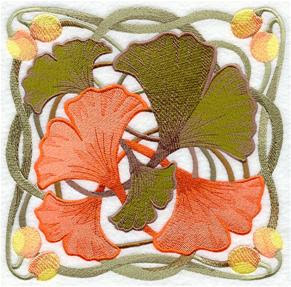 * Added topic: Ginkgo and Pseudotribos robustus picture.